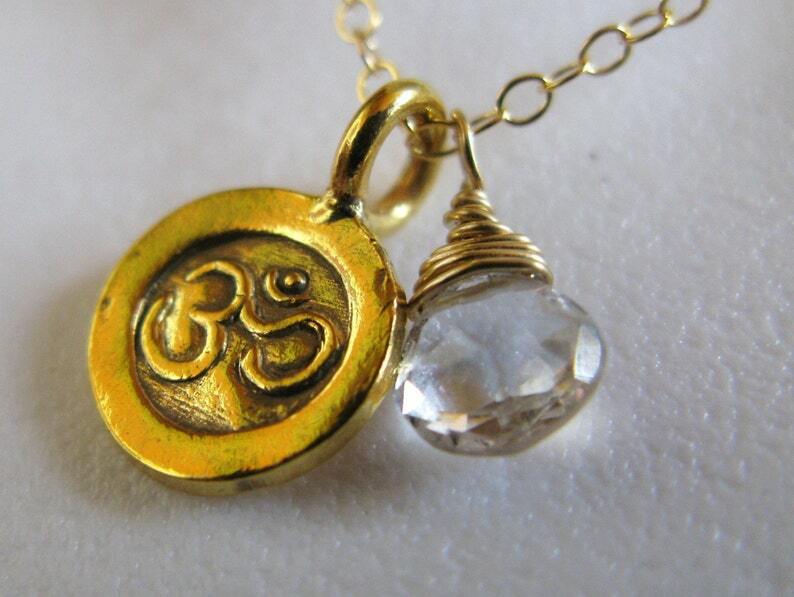 Om, is an Indian mantra of peace & serenity. Stamped 24K Gold vermeil disc in a dainty 1/2" size. Keeping thoughts of peace close to your heart at all times. Paired with a hand wrapped brilliant white topaz (or your choice of) drop. This briolette is very clear and of superior quality measuring 1/3". Charms are suspended from a 16" Gold filled chain ending in a lobster clasp. *White topaz turns negative energy into positive energy. A unique piece with meaning. Clasp broke first time wearing. Contacted shop and was given instructions on how to fix, but would have to spend money to buy specific tools to do so. Pure Heart Silver oxidized Angel Wing necklace. mens. from customer message- seemed that the item broke with use. I offered options: return for refund, return for repair, and gave instructions to customer how to repair. Never heard back from her and then received review.